German South West Africa- this used to be the name of Namibia. From 1884 to 1915, Namibia which is located in the south west of Africa right above South Africa had been a German colony. This is one of the reasons why Namibia attracted many German settlers back in the day. Another reason why many Germans moved to Namibia is the fact that diamonds were found in 1908. Nowadays you still can find many German speakers, German architecture and German culture in Namibia. Right after the 1st World War until 1988 Namibia had been called South West Africa and had been under the South African rule. Only in 1990, Namibia became an independent state. Etosha National Park, which is a famous Game Reserve in the North of Namibia. Although I have visited Kruger National Park in South Africa, Maasai Mara National Park in Kenya, Liwonde National Park in Malawi and Chobe National Park in Botswana many people told me it´s worth it to go to Etosha too. Fishriver Canyon, which is in the south of Namibia and the 2nd biggest Canyon after Grand Canyon. A Ghost-town, which is a town that was abandoned by the town’s entire inhabitants during the diamond rush. The inhabitants moved to other towns to find more diamonds in other areas. Nowadays, you can walk through houses that are knee-deep filled with sand. I have seen pictures and trust me- it´s stunning. Instead of taking a plane from Cape Town I decided on going up to Namibia by bus because I wanted to see the landscape. I choose to travel by Intercape. This was going to be the longest bus ride I have ever been on. 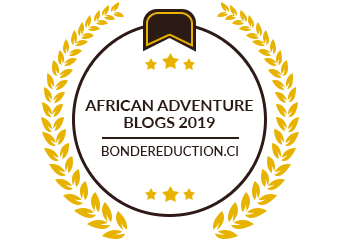 We started at 10 a.m. from Cape Town and arrived at the Namibian border around 8.30 p.m. Getting stamps, checking passports, checking the bus, and all the bags for drugs – the whole procedure at the border took forever. Finally, after almost 3 hours, we continued our trip and eventually, we arrived at 8.30 a.m. the following day in Windhoek, Namibia. My advice for you: book the Sleepliner instead of the Mainliner as the seats in the Sleepliner are insanely comfortable and spacious. Already on a bus for more than 20 hours I decided that I hadn’t had enough of that. 🙂 About ninety minutes after my arrival in Windhoek, I started my second bus tour of the trip. This time I took the Intercape Mainliner to Swakopmund. Swakopmund is a tiny, beautiful city on the coastline- about 4 hours by bus from Windhoek. Have you ever been to the Baltic Sea in Germany? That’s sort of what it looks like in Swakopmund. My hostel “Skeleton Beach Backpackers“ is located 250m away from the beautiful beachfront. This hostel offers dorms, private and family rooms. Continental breakfast and WiFi is included and they have a beautiful garden area that is perfect for having a Braai in the evening. Braai? Find out what that means here. Although Swakopmund is located at the coastline and it´s in Africa, don´t expect to find Caribbean temperatures over there – not at all. Windhoek can easily reach 50 degrees in summertime (which is from September to April). In Swakopmund it can get chilly and windy especially in the evening. I took the local Shuttle company ‘Carlos Shuttle’ to get from Swakopmund back to Windhoek (N$ 230 – including 1 free coffee/tea). Another way of getting back to Windhoek is Intercape but the Mainliner isn’t running every day. Back in Windhoek, I joined a 3-day Safari to Sossusvlei. Wooooowwww my first Safari ever. I was sooo excited. Sossusvlei is Afrikaans, one of the languages spoken in South Africa and Namibia and means “the place where the water gathers”. Basically, what Sossusvlei is, it is a salt and clay pan. Large red dunes, which are the highest in the world, surround the pan. I know it´s Namibia’s most visited attraction and I don´t really like the famous tourist spots. However, this time I really wanted to see it with my own eyes because in pictures it looked stunningly beautiful. “Wild Dog Safari” runs a Sossusvlei Camping Safari every Tuesday. In a group of 16 people from all over the world and all ages (14 customers and our guide George and cook Matthew), we started off at 10 a.m.We stopped for lunch in the middle of the desert and at the ‘Tropic of Capricorn’ – which is one of the five major circles of latitude of a map of the Earth. It marks the most southerly latitude at which the sun can appear directly overhead. Our last stop before we arrived the campsite was Solitaire, which is a really small settlement in the middle of the desert, that only counts 92 inhabitants. Basically, what Solitaire is famous for, is its bakery and their Apfelstrudel (in English: apple strudel). Apfelstrudel is a famous German pastry. Finally, 5 p.m. we arrived at the campsite and put up our tents. The Sesriem Camp is located in a beautiful surrounding with mountains, dunes, and camelthorn trees. Animals like Oryx, Springboks, and Bushbabies are part of the camp and frequently joined me on my way to the bathroom in the middle of the night. In order to watch the sunrise from Dune 45, which is part of Sossusvlei and the most photographed dune in the world, we had to wake up at 5.00am the second day. Believe me, it was worth it. George, our tour guide was driving like a bit of a maniac to ensure that we were the first group arriving at Dune 45 as it gets really busy at that time. Climbing this 170 meters dune can be really challenging, especially for people that aren´t used to any sports at all. So please, don’t underestimate the climb. However, we had a stunningly beautiful sunrise. After breakfast next to the Dunes, we went on a 3 km walk to the main attraction Sossusvlei. It took us 2 1/2 hours to finally arrive at the famous pan with the dead trees. You have to see that – it is breathtaking. The red of the dunes, the white of the clay, the blue of the sky and the brown of the trees. The combination of the different colors is insanely beautiful – you can barely catch it with your camera. Explaining to someone is impossible. Seeing it with your own eyes makes it unforgettable. Did you know that the red sand actually comes from the Kalahari Desert and only covers the white Namibian Dunes? The red sand from Kalahari in Botswana is blown into the Orange River in South Africa and from there blown by a strong wind coming from Cape Town on the white Namibian Dunes. Also, most people would assume that the trees in the pan died 600 to 800 years ago due to the draught. If you think that as well, then you are completely wrong. The trees died due to too much water that used to be in the pan. If you are planning to go by your own car and to see the sunrise from Dune 45 then you have to stay at the camp, we stayed at. Why? Cause this camp is sort of the entrance to Sossusvlei and they will not let you in on time unless you stay there. In addition, if you are planning to not to walk to see the pan and the dead trees, you need a 4×4 for the last 3 km or you just hop on one of the shuttle’s ($N 80 each way). After Sossusvlei, we chilled at the camp´s pool and finished off our day by watching the sunset at the Sesriem Canyon. The following day we went back to Windhoek early in the morning. Back there I spent two nights in Chameleon Backpackers in Windhoek. Centrally located, this backpackers has everything you need: dorms, private rooms, free WiFi, breakfast included, a pool, a vibrant bar, a Braai and a chilling area. You can drink tap water. You can pay with Namibian Dollar and South African Rand (you can even mix between both currencies). You might need Malaria pills, depending on where you are going and when you are going. In Windhoek, there is no Malaria, whereas if you go somewhere else better contact your doctor. Please keep in mind to not to take your valuable things with you when exploring Windhoek on your own. Rather put it in the safe in your accommodation. I am not saying its dangerous it’s just like everywhere in the world – be aware. Also rather book a shuttle in your hostel than using one of the local cab´s. Better to be safe than sorry. For Germans, there is no need for a visa. Other Nationalities might need one. What really shocked me was the rate of N$350 I had to pay to get from Windhoek to the airport which is a distance of 40km only and takes you about 40 minutes to get there. That’s insane especially if you compare it with the rate I paid for a 4-hour bus ride from Swakopmund to Windhoek. Unfortunately, it is quite impossible to find companies that do it for less. Using local cabs as a tourist isn´t always safe especially in Windhoek, hence I wouldn´t recommend doing that at all. Let your hotel/hostel arrange you a shuttle. Have you been to Namibia? What did you like most? Let me know in the comments!